We can all be hard on our teeth – and diseased, chipped or even missing teeth are not only bothersome, but left untreated, can lead to further complications. Wear and tear is a constant reality; therefore we offer a range of advanced restorations that can bring your mouth back to its healthy, natural state. Losing or chipping a tooth can be a traumatic experience – especially if the empty space it leaves is visible when you smile. Thanks to the wonders of modern technology, however, crown and bridge restorations can look and feel just like the real thing. 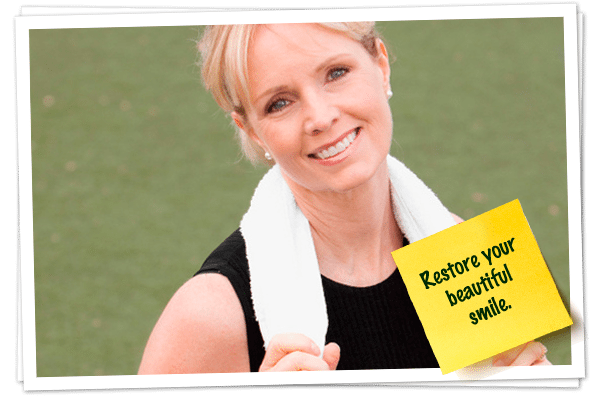 Contact Lougheed Mall Dental to find out which dental restoration is right for you! Our expert dentists are able to perform precise, pain-free root canals on patients experiencing painful symptoms caused by extensive decay, tooth trauma, or gum disease. A successful root canal treatment lets you keep your tooth rather than extracting it. Keeping your tooth helps to prevent your other teeth from drifting out of line and causing jaw problems. It may be necessary to remove your wisdom teeth, which typically begin to erupt at around 18-22 years of age, if there isn’t enough room in your mouth for your wisdom teeth or if your wisdom teeth won’t erupt completely. If you suspect your wisdom teeth may require removal, please contact us today to schedule a consultation. If you suffer from jaw pain, headaches or tooth pains, you may be suffering from temporo-mandibular disorder (TMJ). TMJ may occur if your jaw alignment isn’t proper or if you grind your teeth too often. Our team can help diagnose TMJ disorder and suggest treatments that can help improve your TMJ and decrease the effects of TMJ disorder.